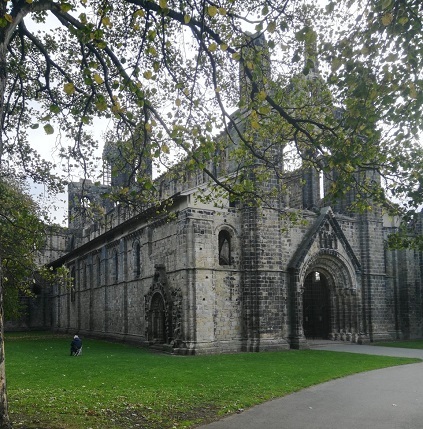 On a certain day last month I felt in need of reflection and a recharging of my spirit’s batteries – and so I travelled to somewhere absolutely perfect for it, Kirkstall Abbey on the outskirts of Leeds. 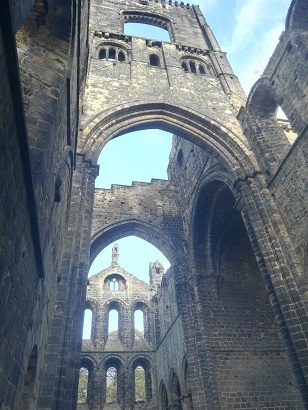 It’s an incredibly beautiful building (so warning – this is a picture heavy post, my phone camera was in high demand,) a ruin but a magnificent ruin and on that day I’ve never felt an atmosphere like it in any other building I’ve ever been in. Perhaps that was because I was acutely aware that the day I was there saw a very important event in the Brontë story take place exactly 206 years earlier. 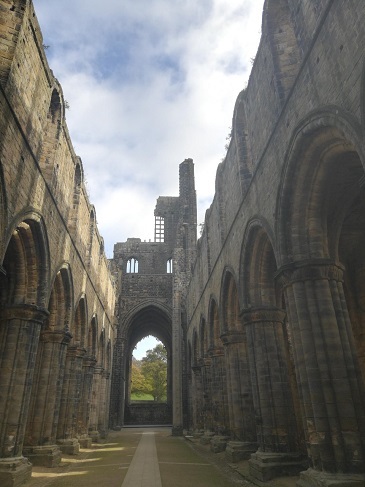 Kirkstall Abbey was the very spot on which Patrick Brontë proposed to Maria Branwell. A series of strange events had brought them to that day in October 1812, and things could have been very different for them. Maria was then in her late 20s and Patrick in his mid 30s, perhaps beyond the first flush of youth but still searching for love – they met in the summer of 1812 and within six months they were married, leading to the family of six children that we all know and love: Maria Brontë, Elizabeth Brontë, Charlotte Brontë, Patrick Branwell Brontë, Emily Jane Brontë, Anne Brontë. They could have met others and married earlier. 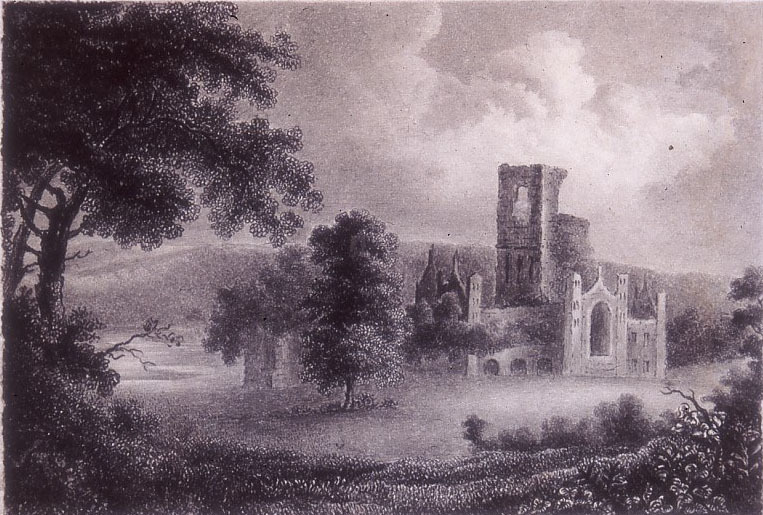 If as a child Patrick had not been spotted reading ‘Paradise Lost’ aloud by County Down vicar Andrew Harshaw he would not have been awarded a place in school, he would not have become a teenage teacher, he would not have been given a scholarship to Cambridge, he would not have served as an assistant curate in Shropshire and would not have met local teacher John Fennell there, he would not have moved to Yorkshire to become a priest in Dewsbury and then Hartshead. 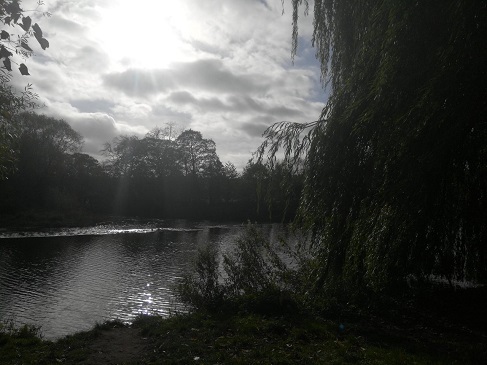 By coincidence he would not have found that his Shropshire friends the Fennells had also moved to Yorkshire and opened a school in nearby Woodhouse Grove, near Leeds, and they would not have heard of his arrival and invited him to examine the children in classics there. By another coincidence the Fennel’s niece Maria Branwell had that summer made an arduous journey to Yorkshire from Cornwall to Woodhouse Grove to act as an assistant at the school. 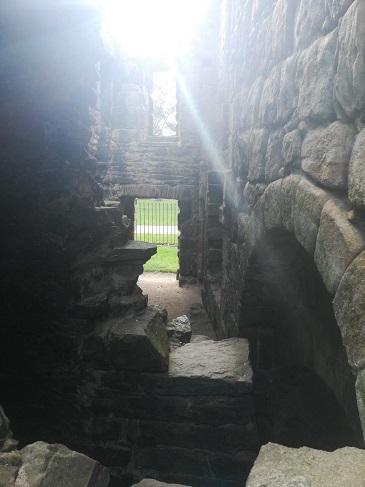 They would never have met, never felt their souls connect, never have married and had the Brontë children. So many coincidences, but in life are there really any coincidences? 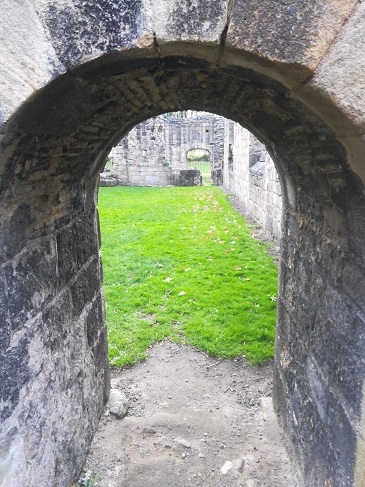 Pareidolia is seeing faces in things – Kirkstall Abbey is looking at you! 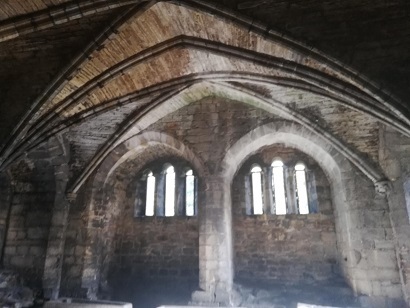 It was to the sweet scene of Kirkstall Abbey, perhaps by the softly flowing brook alongside it, that Patrick and Maria repaired, doubly blessed with hearts attuned by sacred love. 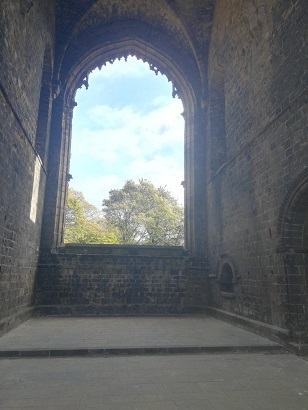 Doubtless as they grew older the Brontë children were told of the importance of Kirkstall Abbey to the Brontë story, for we know that Charlotte Brontë visited it and indeed sketched it herself. 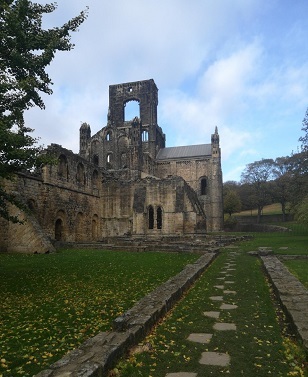 Kirkstall Abbey’s riverbank – was this the proposal site? This, to me, is clearly the letter of a woman writing to her new fiance on the day after they became engaged, and now looking ahead to their married life together. 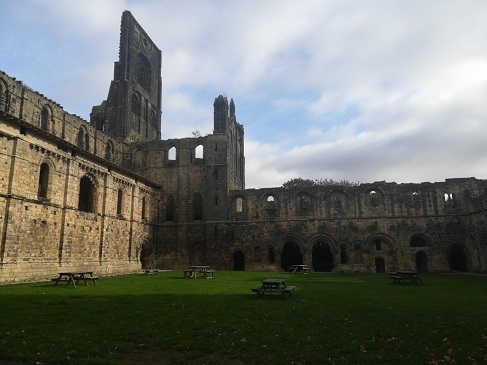 A happy letter, full of love, and indeed I found Kirkstall Abbey today to be a magnificent building full of peace and an atmosphere of love. 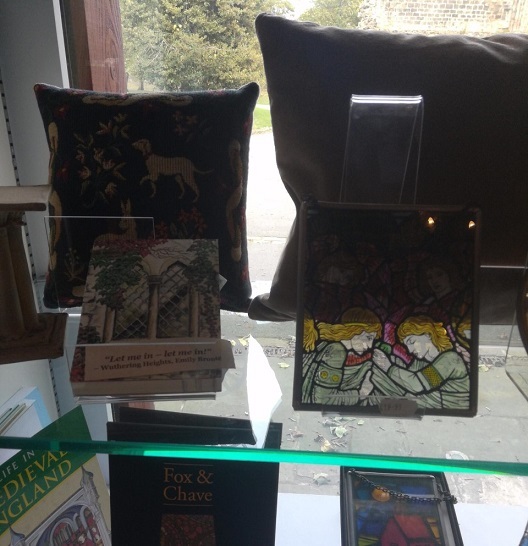 The Abbey itself doesn’t mark its place in the Brontë story, alas, but in the Kirkstall Abbey shop I found that Emily Brontë was present there after all – another coincidence? Very enjoyable reading and looking.